Show your special someone how much you care this Valentine's Day with one of these cute sachets. Labelled with a sweet sentiment just for them, the tracing paper hearts hint at the colourful confetti (and secret love notes) hidden inside. 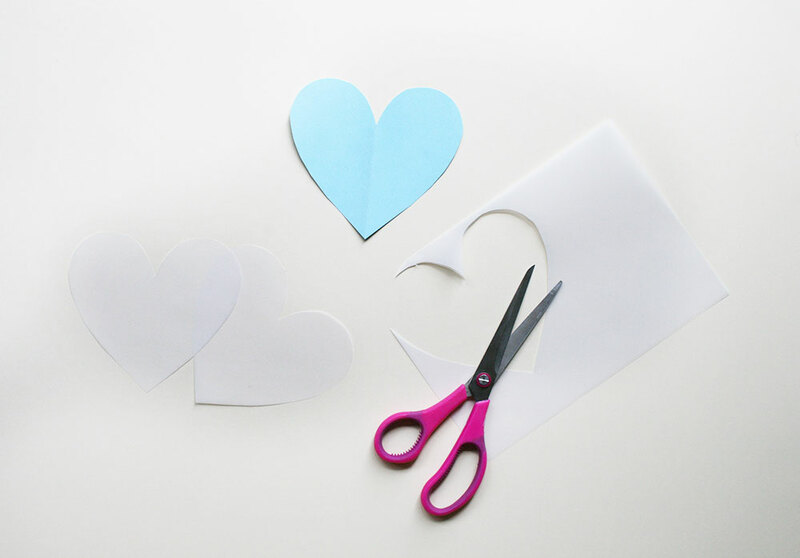 Fold the piece of plain card stock in half and draw half a heart on one side, against the fold line. 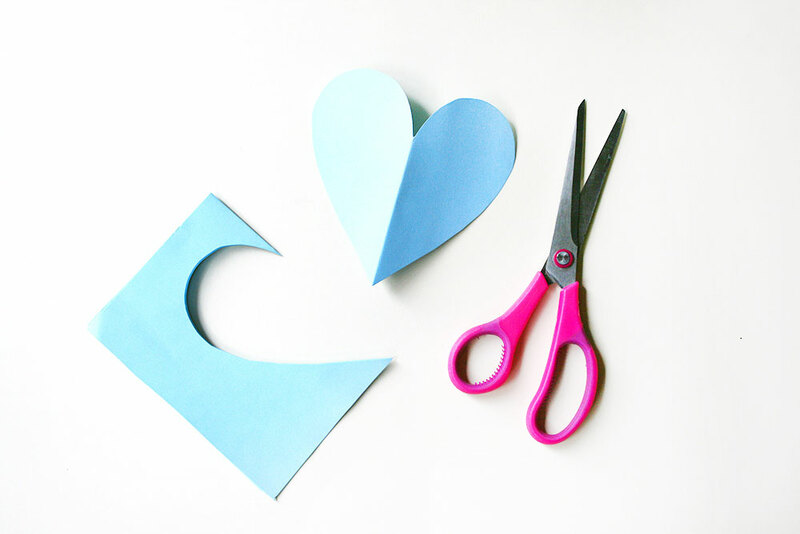 Cut the shape out and unfold to make your heart template. Using the template, trace two hearts onto the tracing paper and cut them out. Fold a piece of red card stock in half and draw a stylised half-feather shape along the fold line. Cut the shape out and then cut along the fold line to make two separate half-arrow shapes. Make a fold approximately 0.25cm wide along this same line on each arrow shape. Repeat these steps with the pink card until you have four half-arrows in total. Cut approximately 6cm (2.4in) off the end of a skewer using your scissors. Then, cut two identical triangle shapes from the red and pink card. 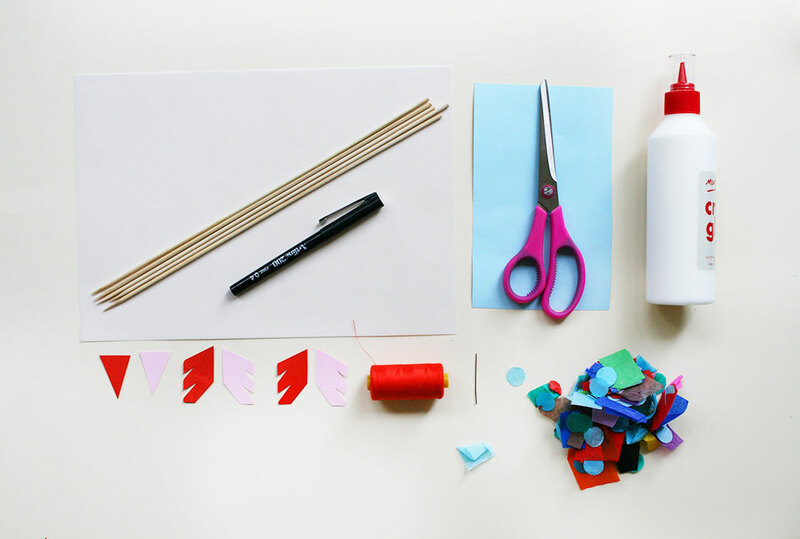 Affix either craft glue or hot glue to one side of the red triangle and place one end of the skewer onto the glue. 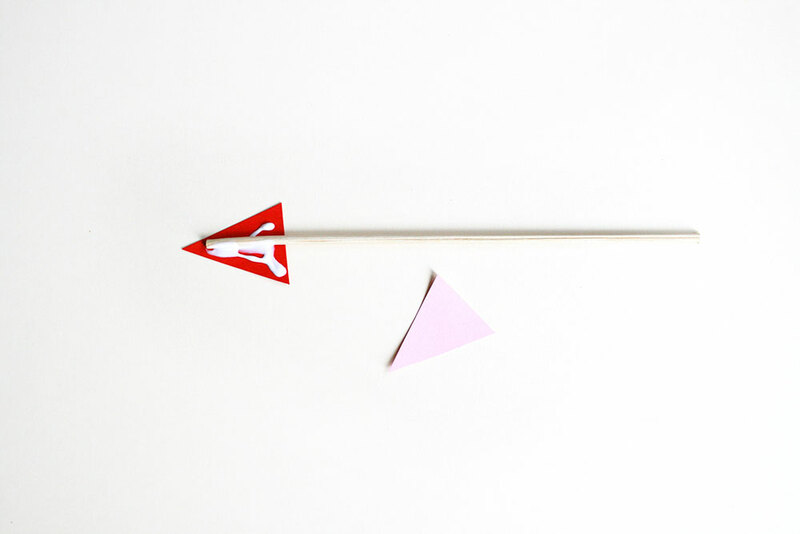 Place the pink triangle on top of the skewer and press down to stick it to the glued side of the red triangle. 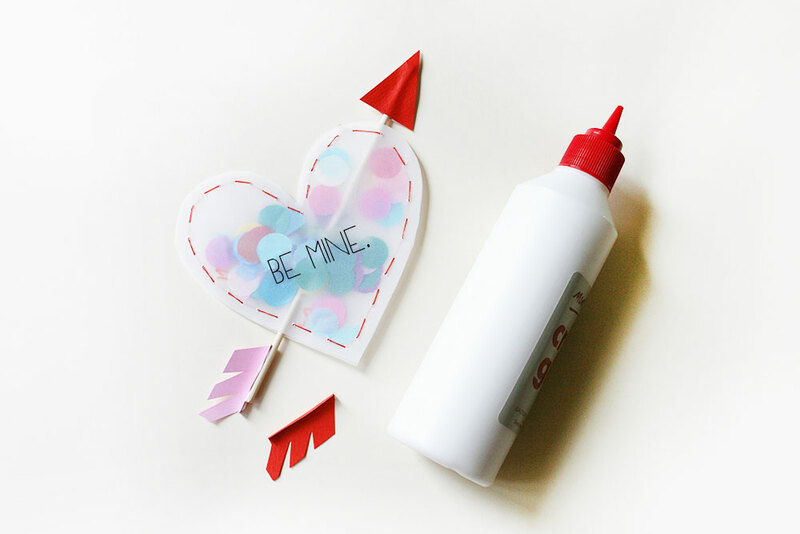 Use the black marker to write a cute message on one of the tracing paper hearts. 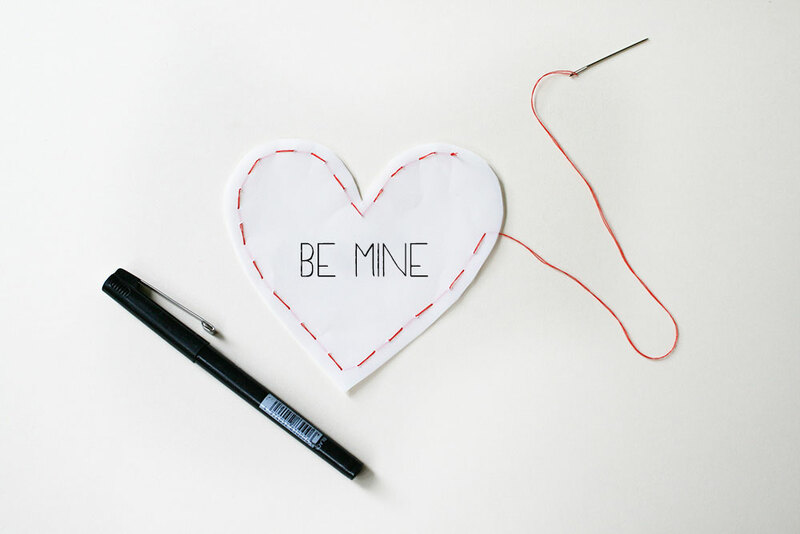 With both hearts together, hand-stitch all the way around with the red thread using a simple straight embroidery stitch. 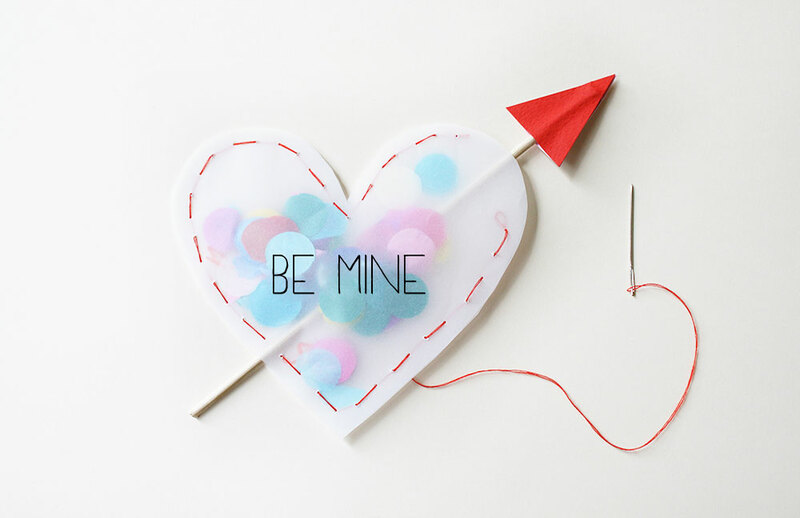 Leave a segment un-sewn for the moment so you can fill the heart with confetti. 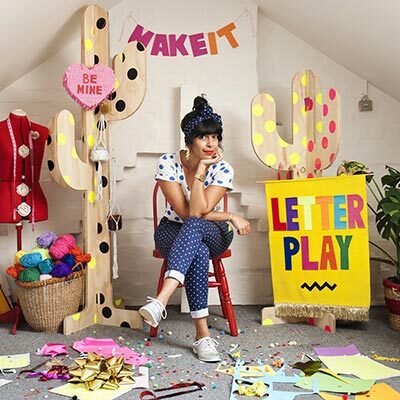 Fill the heart with confetti and if you like, some secret love notes. Continue sewing the heart closed and tie off to finish. Then gently insert the skewer into the heart sachet (using the end without the arrow), in between the stitches. Squeeze some glue onto the folded .25cm tabs on each arrow feather, then stick them all the way around the end of the skewer. Once you've made one of these little Valentine sachets, why not make a whole batch of them and give them to all your loved ones? Do you like making stuff for Valentine's Day? 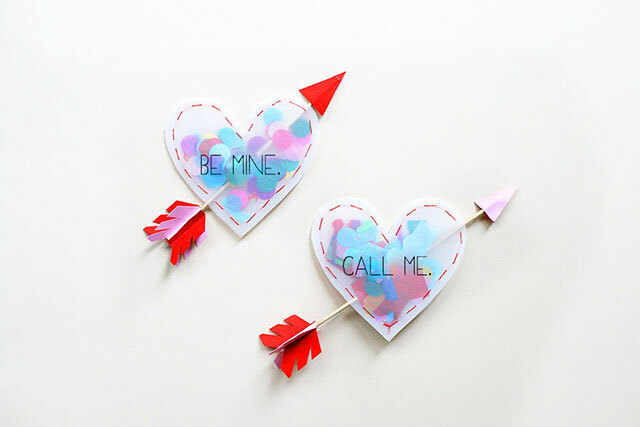 You might like to check out our other Valentine's Day craft projects. Let us know how you found this tutorial in the comments below. We love hearing from you!